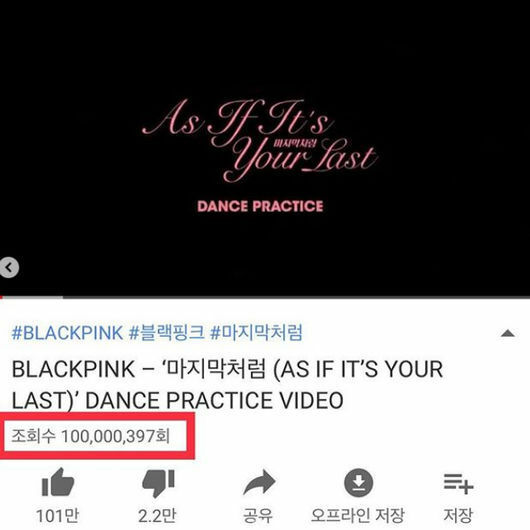 K-pop sensation Black Pink’s dance practice video for “As If It’s Your Last” surpassed 100 million views on YouTube on Tuesday. Yang Hyun-suk, the head of the group’s agency, YG Entertainment, posted a poster on social media celebrating the milestone. 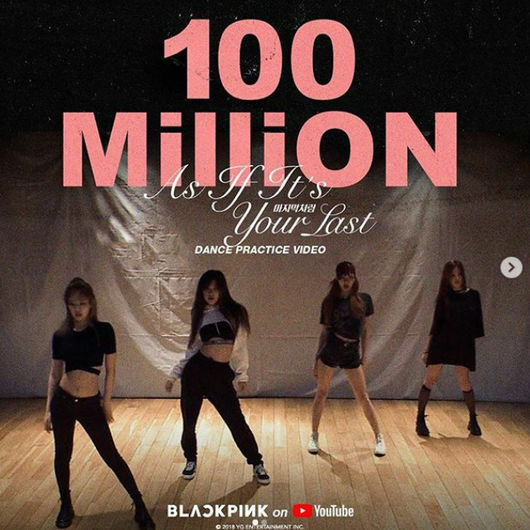 This achievement means Black Pink now has two dance practice videos to have earned 100 million views on YouTube. All its music videos have been viewed at least as often. On Oct. 24, Black Pink became the first K-pop group with three music videos to have attracted more than 400 million views on YouTube: “As If It’s Your Last” took a year and three months, “Ddu-du Ddu-du” took 112 days and “Boombayah” took two years and two months. After Black Pink’s first solo concert in Seoul on Nov. 10, each of the Black Pink members plans to make a solo debut, starting with Jennie on Nov. 12.